A date these days can cost nothing less than R500 but times are tough and it’s comforting to know that you can still enjoy exceptional value with a deal available for those who want the best for less. 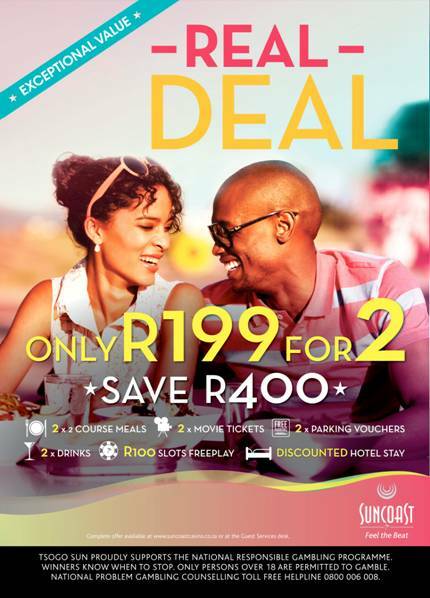 Durban’s premier entertainment destination, #SUNCOAST is currently running an irresistible offer, a Real Deal for two. You can enjoy a night of thrilling entertainment from indulging in a two course meal to catching your favourite actors on the big screen or grabbing a night cap at the lounge bar. Buy your Real Deal booklet that gets you all these things and more for two people to enjoy for only R199. 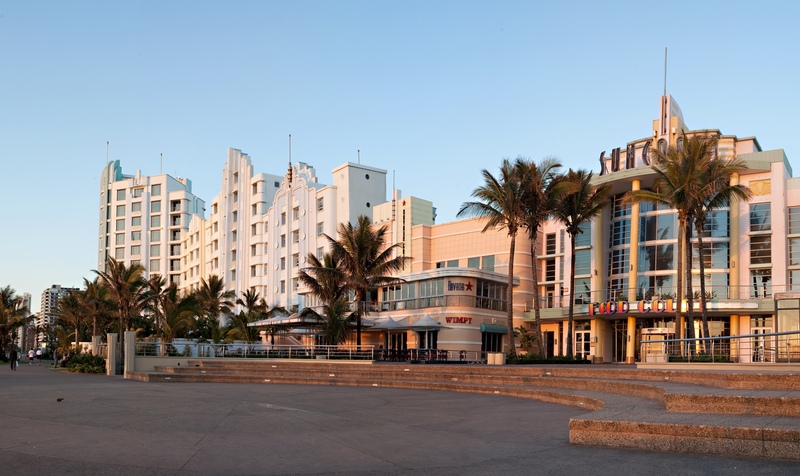 In addition to that, with every booklet purchased, you stand a chance to win a 2 night stay at the Suncoast Towers Hotel Penthouse valued at R24 000. So away with the rush of romantic dinners and picnics, experience the sea, sun and sensuous style at SUNCOAST. Real Deal booklets are only redeemable from Sunday to Thursday; booklets can be purchased at the Guest Services desk until 27 March. Two lucky winners will each win one Real Deal booklet. Simply tell us below your dating nightmare! Comment below to stand a chance of winning one of 2 Real Deal Booklets. Competition opens on 3 March 2014 and closes at midday on 7 March 2014, South African Standard Time. Winners will be randomly drawn on the on 7 March 2014. Durbanite reserves the right to change the draw date. Winners will be required to confirm receipt of email within 12 hours of notification in order to claim booklets. Winners who do not confirm receipt of email within 12 hours of notification will forfeit their booklet and a redraw will take place.